The new Mercedes-Benz GLE is the midsize luxury SUV that Westport drivers are looking for. With plenty of space for passengers and cargo, high-tech Mercedes-Benz interior features, and a stylish exterior, this SUV won’t let you down. 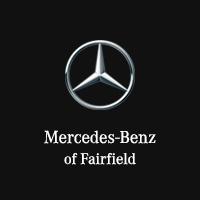 Browse our inventory at Mercedes-Benz of Fairfield to find a Mercedes-Benz for sale that offers space, comfort, and utility. Comes equipped with: Burmester Surround Sound System, Espresso Brown, Mb-Tex Leatherette Seat Trim, Mojave Silver Metallic, Natural Grain Brown Walnut Wood Trim, Premium Package, Trailer Hitch. Comes equipped with: 3rd Row Seat Package, Burmester Surround Sound System, Premium Package. Comes equipped with: 3rd Row Seat Package, Burmester Surround Sound System, Heated Steering Wheel, Illuminated Running Boards, Load Sill Protection, Mbux Augmented Video For Navigation, Premium Package, Trailer Hitch. Comes equipped with: Amg Line Exterior, Burmester Surround Sound System, Heated Steering Wheel, Mbux Augmented Video For Navigation, Metal Weave Trim, Night Package, Panorama Sliding Sunroof, Premium Package, Trailer Hitch. Comes equipped with: Macchiato/Magmagrey, Mb-Tex Leatherette Seat Trim, Selenite Grey Metallic. Comes equipped with: Burmester Surround Sound System, Premium Package, Trailer Hitch, Wheels: 20 Twin 5-Spoke. Comes equipped with: 3rd Row Seat Package, Advanced Lighting Package, Burmester Surround Sound System, Heated Steering Wheel, Illuminated Running Boards, Load Sill Protection, Mbux Augmented Video For Navigation, Passenger Seat Memory, Premium Package, Trailer Hitch. Comes equipped with: Anthracite Poplar Wood Trim, Brushed Aluminum Illuminated Running Boards, Heated & Ventilated Front Seats, Heated Rear Seats, Heated Steering Wheel, Passenger Seat with Memory & Lumbar Support, Premium 3 Package. Comes equipped with: Anthracite Poplar Wood Trim, Brushed Aluminum Illuminated Running Boards, Heated & Ventilated Front Seats, Heated Steering Wheel, Hood Fin Covers, Night Package, Passenger Seat with Memory & Lumbar Support, Premium 3 Package, Rear Seat Entertainment Pre-Wiring, Trailer Hitch, Wheel Locks. Comes equipped with: 3-Zone Climate Control, Amg Carbon Fiber/Black Piano Lacquer Trim, Amg Performance Exhaust System, Heated Rear Seats, Night Package, Premium 3 Package, Trailer Hitch, Wheel Locks, Wheels: 22 Black Amg Cross-Spoke. Learn more about Mercedes-Benz GLE performance and how it compares to the GLC at Mercedes-Benz of Fairfield. Test out the high-end Mercedes-Benz interior to find out what the GLE has in store for Weston drivers!